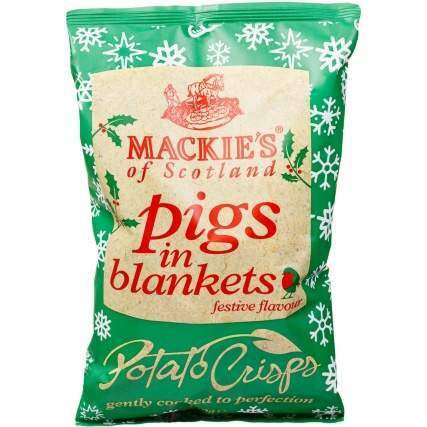 Enjoy the great taste of Christmas with these delicious crisps. Flavoured like turkey and stuffing, make it seem like your roast dinner lasted a little longer by munching away on these delightful crisps. Didn't know Mackie's made crisps, thought it was just Ice Cream. The stuff Lidl sells for 39p in the superweekend are on another level to these ! Good crisps generally- not tried this flavour, but their haggis and others such as cracked pepper are lovely. 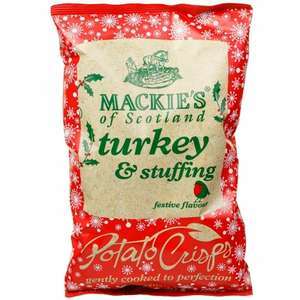 Mackie clearly make the Scottish crisps in Aldi too. I'm not sure if you get them outside Scotland though.